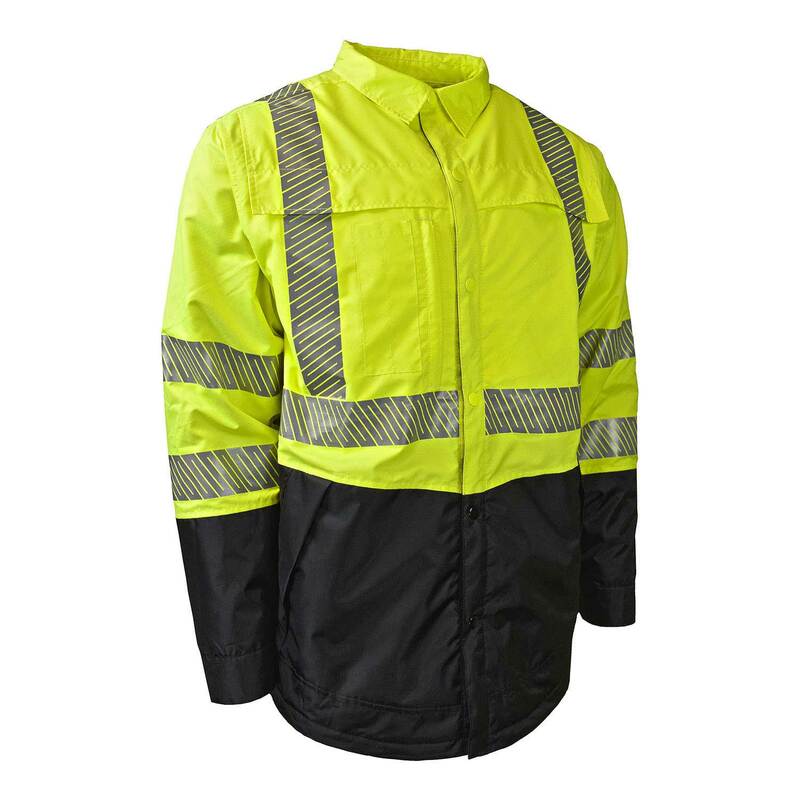 Radians SJ03 Type R Class 3 Ripstop Quilted Wind Shirt, with water resistant coating and lightweight polyfill insulation, provides excellent protection during windy, chilly days. Workers can wear it as a base layer too in cold weather for additional warmth. It features color blocking, which conceals dirt, and six pockets. Made of 100% polyester Ripstop, the durable SJ03 resists tearing and ripping. It is also very comfortable to wear, like your favorite heavy-duty flannel shirt but has the added benefit of resisting the wind.